Cody Rhodes has filed for trademarks that are related to WCW. Some of the titles include Bash At The Beach," "Battlebowl," and "Bunkhouse Stampede." A shoutout to Fightful for the report. This is quite a development for the former WWE Superstar known at one time as Stardust. Bash At The Beach was one of the premiere events of WCW. It was the quivallent of WWE SummerSlam and took place in the month of July. The first Bash at the Beach took place in 1994 and the last PPV was in 2000, shortly before WCW folded. While this doesn't confirm that AEW is trying to compete with WWE with regards to old trademarks, it shows a different direction for the upstart company. As some in the WWE Universe, WWE brought WCW back in 2001. But they have seldomed used their PPVs. For instance, Starrcade was religated to a WWE Network event. While only The Great American Bash ever saw the light of day. Essentially, WWE has rarely pulled from the WCW playbook. 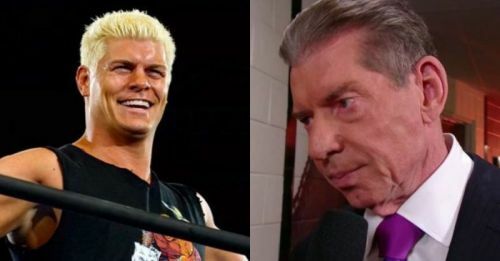 Cody Rhodes took to Twitter to explain the reasons behind filing for trademarks for WCW related PPVs. "I’d turn off the google alerts on trademarks. They’re personal and most aren’t intended for AEW. I’ve filed/claimed over 50 the last few months. I’m just trying to get some of Dad’s cattle back. That’s the story." Cody Rhodes is still quite coy in his response. By saying 'most' aren't intended for AEW, It's quite possible that Bash At The Beach could make a return to pro-wrestling PPVs listings. It will be interesting how this will develop over time. AEW will be holding their first official PPV entitled 'AEW Double or Nothing.' The PPV will feature Kenny Omega vs. Chris Jericho, The Young Bucks vs The Lucha Bros as well as some other matches that will be announced in the weeks to come. Cody Rhodes has yet to have an official opponent to the PPV. Stay tuned!